Pendulum Effect:- All Normal Monsters gain 200 ATK. You take no battle damage from battles involving Normal Monsters you control. Monster:- The horns were needed to prepare a medicine for her village,..
Pendulum Effect:- During the End Phase, if this card was activated this turn: You can target 1 face-up Spell/Trap Card on the field; destroy it. Monster Effect:- A mechanized life form, roving through..
Pendulum Effect:- You can reduce the battle damage you take from a battle involving a Pendulum Monster you control to 0. During your End Phase: You can destroy this card, and if you do, add 1 Pendulum.. If this card is Normal Summoned or Special Summoned: All monsters your opponent currently controls lose 600 ATK and DEF. If you Special Summon a monster(s) while you control this card: All monsters yo..
After you Normal Summon this card, you can Tribute Summon 1 Level 7 or higher monster in face-up Attack Position during your Main Phase this turn, in addition to your Normal Summon/Set. (You can only ..
Pendulum Effect:- All LIGHT monsters you control gain 300 ATK. Monster Effect:- Once per turn: You can target 1 face-up monster you control; this turn, it can attack all Special Summoned monsters your..
Pendulum Effect:- Once per turn: You can target 1 face-up monster on the field; switch its current ATK and DEF until the end of this turn. Monster Effect:- Once per turn, during your Battle Phase (exc.. When this card is Normal or Special Summoned: You can change its battle position. 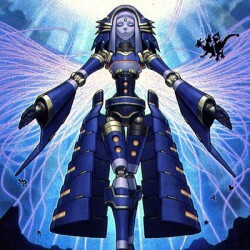 If a "Superheavy Samurai" monster you control battles an opponent's monster, after damage calculation: The opponent's .. When this card is Normal or Special Summoned: You can change its battle position. All "Superheavy Samurai" monsters you control can attack while in face-up Defense Position. If they do, apply their DE.. If this card is Summoned: You can target 1 "tellarknight" monster in your Graveyard, except "Satellarknight Altair"; Special Summon that monster in Defense Position, but monsters you control cannot at.. If this card is Summoned: You can send 1 "tellarknight" card from your Deck to the Graveyard, except "Satellarknight Unukalhai". You can only use this effect of "Satellarknight Unukalhai" once per tur..
FLIP: You can target 1 "Shaddoll" monster in your Graveyard, except "Shaddoll Falco"; Special Summon it in face-down Defense Position. If this card is sent to the Graveyard by a card effect: You can S..
FLIP: You can add 1 "Shaddoll" Spell/Trap Card from your Deck to your hand. If this card is sent to the Graveyard by a card effect: You can add 1 "Shaddoll" monster from your Deck to your hand, except..
FLIP: You can target 1 monster on the field; destroy it. If this card is sent to the Graveyard by a card effect: You can send 1 "Shaddoll" card from your Deck to the Graveyard, except "Shaddoll Squama..
FLIP: You can target 1 card your opponent controls; return it to the hand. If this card is sent to the Graveyard by a card effect: You can target 1 Spell/Trap Card on the field; destroy it. You can on..